Jump-start your healthcare career with this amazing entry-level opportunity! Whitehall of Deerfield is looking for a compassionate and friendly social worker to work with our post-hospital rehabilitation patients. Must have a four-year degree in Social Services or a related field and be comfortable working in an upscale, fast-paced health care environment. Must also have strong customer-service, communications, documentation and time-management skills. Experience in a skilled nursing facility a plus—but we’ll train the right candidate. To apply or to learn more, please call 847.580.8184, email clyons@whitehallofdeerfield.com or complete the form below. 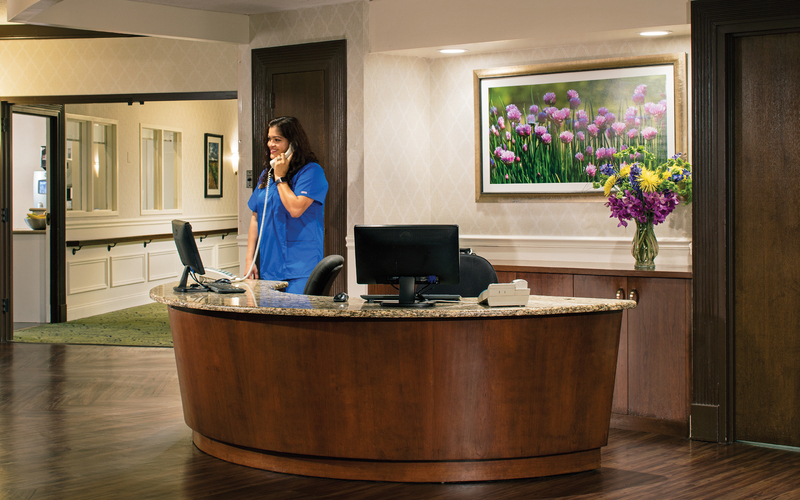 As a respiratory therapist at Whitehall of Deerfield, the North Shore’s premier provider of post-hospital rehabilitation, you’ll help our guests increase independence and achieve the highest level of functioning in an upscale, fast-paced environment. You must currently be licensed in the State of Illinois and CPR certified with knowledge of geriatric respiratory care—specifically related to acute and chronic illness. You must also have strong customer service and communication skills. This part-time position is from two to four shifts per pay period with alternating weekends (Saturdays and Sundays), eight hours per shift. To apply, please complete the form below, email clyons@whitehallofdeerfield.com or call 847.580.8184. Whitehall of Deerfield is seeking both full-time and part-time Certified Nursing Assistants to join our compassionate team. Candidates must have Illinois CNA certification, excellent patient care, customer service skills and the ability to work in a fast-paced environment. We also offer paid internships for CNA students. Position includes every other weekend. To apply or to learn more, please call 847.580.8184, email clyons@whitehallofdeerfield.com or complete the form below. Whitehall of Deerfield is seeking both full-time and part-time RNs and LPNs to join a top nursing team dedicated to making a real difference in people’s lives. Long-term care or rehabilitation experience preferred. To apply or to learn more, please call 847.580.8184, email clyons@whitehallofdeerfield.com or complete the form below. Whitehall of Deerfield is looking for volunteers who can make a long-term commitment to operate our gift shop offering tasteful gifts, snacks and clothing to our guests. This volunteer position would make a great difference to the guests we serve, and it is from Monday through Friday. Hours can be flexible to fit your schedule. To apply or to learn more, please call 847.580.8184, email clyons@whitehallofdeerfield.com or complete the form below. Whitehall of Deerfield is an Equal Opportunity Employer. By submitting your resume and application, you give your consent that Whitehall of Deerfield may store, transmit and circulate this information when evaluating your qualifications for this and other employment opportunities at Whitehall of Deerfield.